Military interest in space became intense during and after World War II because of the introduction of rocket science, the companion to nuclear technology. The early versions include the buzz bomb and guided missiles. They were thought of as potential carriers of both nuclear and conventional bombs. Rocket technology and nuclear weapon technology developed simultaneously between 1945 and 1963. During this time of intensive atmospheric nuclear testing, explosions at various levels above and below the surface of the earth were attempted. Some of the now familiar descriptions of the earth’s protective atmosphere, such as the existence of the Van Allen belts, were based on information gained through stratospheric and ionospheric experimentation. The earth’s atmosphere consists of the troposphere, from sea level to about 16 km above the earth’s surface; the stratosphere (which contains the ozone level) which extends from about the 16 to 48 km above the earth; and the ionosphere which extends from 48 km to over 50,000 km above the surface of the earth. The earth’s protective atmosphere or “skin” extends beyond 3,200 km above sea level to the large magnetic fields, called the Van Allen Belts, which can capture the charged particles sprayed through the cosmos by the solar and galactic winds. These belts were discovered in 1958 during the first weeks of the operation of America’s first satellite, Explorer I. They appear to contain charged particles trapped in the earth’s gravity and magnetic fields. Primary galactic cosmic rays enter the solar system from interstellar space, and are made up of protons with energies above 100 MeV, extending up to astronomically high energies. They make up about 100 percent of the high energy rays. Solar rays are generally of lower energy, below 20 MeV (which is still high energy in earth terms). These high energy particles are affected by the earth’s magnetic field and by geomagnetic latitude (distance above or below the geomagnetic equator). The flux density of low energy protons at the top of the atmosphere is normally greater at the poles than at the equator. The density also varies with solar activity, being at a minimum when solar flares are at a minimum. The Van Allen belts capture charged particles (protons, electrons and alpha particles) and these spiral along the magnetic force lines toward the polar regions where the force lines converge. They are reflected back and forth between the magnetic force lines near the poles. The lower Van Allen Belt is about 7700 km above the earth’s surface, and the outer Van Allen Belt is about 51,500 km above the surface. According to the Encyclopedia Britannica, the Van Allen belts are most intense along the equator, and effectively absent over the poles. They dip to 400 km over the South Atlantic Ocean, and are about 1,000 km high over the Central Pacific Ocean. In the lower Van Allen Belt, the proton intensity is about 20,000 particles with energy above 30 MeV per second per square centimeter. Electrons reach a maximum energy of 1 MeV, and their intensity has a maximum of 100 million per second per square centimeter. In the outer Belt, proton energy averages only 1 MeV. For compar-ison, most charged particles discharged in a nuclear explosion range between 0.3 and 3 MeV, while diagnostic medical X-ray has peak voltage around 0.5 MeV. Between August and September 1958, the US Navy exploded three fission type nuclear bombs 480 km above the South Atlantic Ocean, in the part of the lower Van Allen Belt closest to the earth’s surface. In addition, two hydrogen bombs were detonated 160 km over Johnston Island in the Pacific. The military called this “the biggest scientific experiment ever undertaken.” It was designed by the US Department of Defense and the US Atomic Energy Commission, under the code name Project Argus. The purpose appears to be to assess the impact of high altitude nuclear explosions on radio transmission and radar operations because of the electromagnetic pulse (EMP), and to increase understanding of the geomagnetic field and the behavior of the charged particles in it. This gigantic experiment created new (inner) magnetic radiation belts encompassing almost the whole earth, and injected sufficient electrons and other energetic particles into the ionosphere to cause world wide effects. The electrons traveled back and forth along magnetic force lines, causing an artificial “aurora” when striking the atmosphere near the North Pole. The US Military planned to create a “telecommunications shield” in the ionosphere, reported in 13-20 August 1961, Keesings Historisch Archief (K.H.A.). This shield would be created “in the ionosphere at 3,000 km height, by bringing into orbit 350,000 million copper needles, each 2-4 cm long [total weight 16 kg], forming a belt 10 km thick and 40 km wide, the needles spaced about 100 m apart.” This was designed to replace the ionosphere “because telecommunications are impaired by magnetic storms and solar flares.” The US planned to add to the number of copper needles if the experiment proved to be successful. This plan was strongly opposed by the Intentional Union of Astronomers. On July 9, 1962, the US began a further series of experiments with the ionosphere. From their description: “one kiloton device, at a height of 60 km and one megaton and one multi-megaton, at several hundred kilometers height” (K.H.A., 29 June 1962). These tests seriously disturbed the lower Van Allen Belt, substantially altering its shape and intensity. “In this experiment the inner Van Allen Belt will be practically destroyed for a period of time; particles from the Belt will be transported to the atmosphere. It is anticipated that the earth’s magnetic field will be disturbed over long distances for several hours, preventing radio communication. The explosion in the inner radiation belt will create an artificial dome of polar light that will be visible from Los Angeles” (K.H.A. 11 May 1962). A Fijian Sailor, present at this nuclear explosion, told me that the whole sky was on fire and he thought it would be the end of the world. This was the experiment which called forth the strong protest of the Queen’s Astronomer, Sir Martin Ryle in the UK. “The ionosphere [according to the under-standing at that time] that part of the atmosphere between 65 and 80 km and 280- 320 km height, will be disrupted by mechanical forces caused by the pressure wave following the explosion. At the same time, large quantities of ionizing radiation will be released, further ionizing the gaseous components of the atmosphere at this height. This ionization effect is strengthened by the radiation from the fission products… The lower Van Allen Belt, consisting of charged particles that move along the geomagnetic field lines… will similarly be disrupted. As a result of the explosion, this field will be locally destroyed, while countless new electrons will be introduced into the lower belt” (K.H.A. 11 May 1962). “On 19 July… NASA announced that as a consequence of the high altitude nuclear test of July 9, a new radiation belt had been formed, stretching from a height of about 400 km to 1600 km; it can be seen as a temporary extension of the lower Van Allen Belt” (K.H.A. 5 August 1962). In 1968 the US military proposed Solar Powered Satellites in geostationary orbit some 40,000 km above the earth, which would intercept solar radiation using solar cells on satellites and transmit it via a microwave beam to receiving antennas, called rectennas, on earth. The US Congress mandated the Department of Energy and NASA to prepare an Environmental Impact Assessment on this project, to be completed by June 1980, and costing $25 Million. This project was designed to construct 60 Solar Powered Satellites over a thirty year period at a cost between $500 and $800 thousand million (in 1968 dollars), providing 100 percent of the US energy needs in the year 2025 at a cost of $3000 per kW. At that time, the project cost was two to three times larger than the whole Department of Energy budget, and the projected cost of the electricity was well above the cost of most conventional energy sources. The rectenna sites on earth were expected to take up to 145 square kilometers of land, and would preclude habitation by any humans, animals or even vegetation. Each Satellite was to be the size of Manhattan Island. Due to a malfunction, the Saturn V Rocket burned unusually high in the atmosphere, above 300 km. This burn produced “a large ionospheric hole” (Mendillo, M. Et al., Science p. 187, 343, 1975). The disturbance reduced the total electron content more than 60% over an area 1,000 km in radius, and lasted for several hours. It prevented all telecommunications over a large area of the Atlantic Ocean. The phenomenon was apparently caused by a reaction between the exhaust gases and ionospheric oxygen ions. The reaction emitted a 6300 A airglow. Between 1975 and 1981 NASA and the US Military began to design ways to test this new phenomena through deliberate experimentation with the ionosphere. Early review of the Solar Powered Satellite Project began in around 1978, and I was on the review panel. Although this was proposed as an energy program, it had significant military implications. One of the most significant, first pointed out by Michael J. Ozeroff, was the possibility of developing a satellite-borne beam weapon for anti-ballistic missile (ABM) use. The satellites were to be in geosynchronous orbits, each providing an excellent vantage point from which an entire hemisphere can be surveyed continuously. It was speculated that a high-energy laser beam could function as a thermal weapon to disable or destroy enemy missiles. There was some discussion of electron weapon beams, through the use of a laser beam to preheat a path for the following electron beam. President Carter approved the SPS Project and gave it a go- ahead, in spite of the reservation which many reviewers, myself included, expressed. Fortunately, it was so expensive, exceeding the entire Department of Energy budget, that funding was denied by the Congress. I approached the United Nations Committee on Disarmament on this project, but was told that as long as the program was called Solar Energy by the United States, it could not be considered a weapons project. The same project resurfaced in the US under President Reagan. He moved it to the much larger budget of the Department of Defense and called it Star Wars. Since this is more recent history, I will not discuss the debate which raged over this phase of the plan. By 1978, it was apparent to the US Military that communications in a nuclear hostile environment would not be possible using traditional methods of radio and television technology (Jane’s Military Communications 1978). By 1982, GTE Sylvania (Needham Heights, Massachusetts) had developed a command control electronic sub-system for the US Air Force’s Ground Launch Cruise Missiles (GLCM) that would enable military commanders to monitor and control the missile prior to launch both in hostile and non-hostile environments. The system contains six radio subsystems, created with visible light using a dark beam (not visible) and is resistant to the disruptions experienced by radio and television. Dark beams contribute to the formation of energetic plasma in the atmosphere. This plasma can become visible as smog or fog. Some has a different charge than the sun’s energy, and accumulates in places where the sun’s energy is absent, like the polar regions in the winter. When the polar spring occurs, the sun appears and repels this plasma, contributing to holes in the ozone layer. This military system is called: Ground Wave Emergency Network (GWEN). (See The SECOMII Communication System, by Wayne Olsen, SAND 78- 0391,Sandia Laboratories, Albuquerque, New Mexico, April 1978.) This innovative emergency radio system was apparently never implemented in Europe, and exists only in North America. Part of the plan to build the SPS space platforms was the demand for reusable space shuttles, since they could not afford to keep discarding rockets. The NASA Spacelab 3 Mission of the Space Shuttle made, in 1981, “a series of passes over a network of five ground based observatories” in order to study what happened to the ionosphere when the Shuttle injected gases into it from the Orbit Maneuvering System (OMS). They discovered that they could “induce ionospheric holes” and began to experiment with holes made in the daytime, or at night over Millstone, Connecticut, and Arecibo, Puerto Rico. They experimented with the effects of “artificially induced ionospheric depletions on very low frequency wave lengths, on equatorial plasma instabilities, and on low frequency radio astronomical observations over Roberval, Quebec, Kwajelein, in the Marshall Islands and Hobart, Tasmania” (Advanced Space Research, Vo1.8, No. 1, 1988). An innovative use of the Space Shuttle to perform space physics experiments in earth orbit was launched, using the OMS injections of gases to “cause a sudden depletion in the local plasma concentration, the creation of a so called ionospheric hole.” This artificially induced plasma depletion can then be used to investigate other space phenomena, such as the growth of the plasma instabilities or the modification of radio propagation paths. The 47 second OMS burn of July 29, 1985, produced the largest and most long-lived ionospheric hole to date, dumping some 830 kg of exhaust into the ionosphere at sunset. A 6 second, 68 km OMS release above Connecticut in August 1985, produced an airglow which covered over 400,000 square km. During the 1980’s, rocket launches globally numbered about 500 to 600 a year, peaking at 1500 in 1989. There were many more during the Gulf War. The Shuttle is the largest of the solid fuel rockets, with twin 45 meter boosters. All solid fuel rockets release large amounts of hydrochloric acid in their exhaust, each Shuttle flight injecting about 75 tons of ozone destroying chlorine into the stratosphere. Those launched since 1992 inject even more ozone-destroying chlorine, about 187 tons, into the stratosphere (which contains the ozone layer). In April 1986, just before the Chernobyl disaster, the US had a failed hydrogen test at the Nevada Test Site called Mighty Oaks. This test, conducted far underground, consisted of a hydrogen bomb explosion in one chamber, with a leaded steel door to the chamber, two meters thick, closing within milliseconds of the blast. The door was to allow only the first radioactive beam to escape into the “control room” in which expensive instrumentation was located. The radiation was to be captured as a weapon beam. The door failed to close as quickly as planned, causing the radioactive gases and debris to fill the control room, destroying millions of dollars worth of equipment. The experiment was part of a program to develop X-ray and particle beam weapons. The radioactive releases from Mighty Oaks were vented, under a “licensed venting” and were likely responsible for many of the North American nuclear fallout reports in May 1986, which were attributed to the Chernobyl disaster. According to Defense News, April 13 – 19, 1992, the US deployed an electromagnetic pulse weapon (EMP) in Desert Storm, designed to mimic the flash of electricity from a nuclear bomb. The Sandia National Laboratory had built a 23,000 square meter laboratory on the Kirkland Air Force Base, 1989, to house the Hermes II electron beam generator capable of producing 20 Trillion Watt pulses lasting 20 billionths to 25 billionths of a second. This X-ray simulator is called a Particle Beam Fusion Accelerator. A stream of electrons hitting a metal plate can produce a pulsed X-ray or gamma ray. Hermes II had produced electron beams since 1974. These devises were apparently tested during the Gulf War, although detailed information on them is sparse. Use oblique heating to produce effects on radio wave propagation, thus broadening the potential military applications of ionospheric enhancement technology. The Poker Flat Research Range is located about 50 km North of Fairbanks, Alaska, and it was established in 1968. It is operated by the Geophysical Institute with the University of Alaska Fairbanks, under NASA contract. About 250 major rocket launches have taken place from this site, and in 1994, a 16 meter long rocket was launched to help NASA “understand chemical reactions in the atmosphere associated with global climate change.” Similar experiments, but using Chemical Release Modules (CRM), have been launched from Churchill, Manitoba. In 1980, Brian Whelan’s “Project Waterhole” disrupted an aurora borealis, bringing it to a temporary halt. In February 1983, the chemical released into the ionosphere caused an aurora borealis over Churchill. In March 1989, two Black Brant X’s and two Nike Orion rockets were launched over Canada, releasing barium at high altitudes and creating artificial clouds. These Churchill artificial clouds were observed from as far away as Los Alamos, New Mexico. The US Navy has also been carrying on High Power Auroral Stimulation (HIPAS) research in Alaska. Through a series of wires and a 15 meter antenna, they have beamed high intensity signals into the upper atmosphere, generating a controlled disturbance in the ionosphere. As early as 1992, the Navy talked of creating 10 kilometer long antennas in the sky to generate extremely low frequency (ELF) waves needed for communicating with submarines. Another purpose of these experiments is to study the Aurora Borealis, called by some an outdoor plasma lab for studying the principles of fusion. Shuttle flights are now able to generate auroras with an electron beam. On November 10, 1991, and aurora borealis appeared in the Texas sky for the first time ever recorded, and it was seen by people as far away as Ohio and Utah, Nebraska and Missouri. The sky contained “Christmas colors” and various scientists were quick to blame it on solar activity. However, when pressed most would admit that the ionosphere must have been weakened at the time, so that the electrically charged particle hitting the earth’s atmosphere created the highly visible light called airglow. These charged particles are normally pulled northwards by the earth’s magnetic forces, to the magnetic north pole. The Northern Lights, as the aurora borealis is called, normally occurs in the vortex at the pole where the energetic particles, directed by the magnetic force lines, are directed. 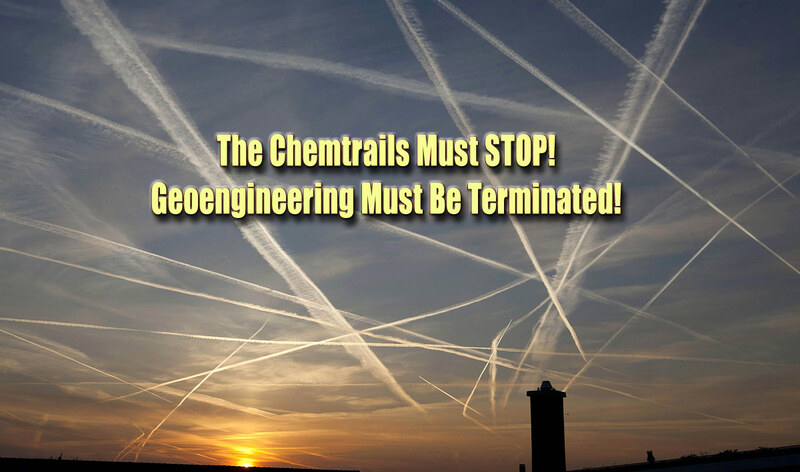 It would be rash to assume that HAARP is an isolated experiment which would not be expanded. It is related to fifty years of intensive and increasingly destructive programs to understand and control the upper atmosphere. It would be rash not to associate HAARP with the space laboratory construction which is separately being planned by the United States. HAARP is an integral part of a long history of space research and development of a deliberate military nature. The military implications of combining these projects is alarming. Basic to this project is control of communications, both disruption and reliability in hostile environments. The power wielded by such control is obvious. The ability of the HAARP / Spacelab/ rocket combination to deliver very large amount of energy, comparable to a nuclear bomb, anywhere on earth via laser and particle beams, are frightening. The project is likely to be “sold” to the public as a space shield against incoming weapons, or, for the more gullible, a devise for repairing the ozone layer. C.L. Herzenberg, Physics and Society, April 1994. R. Williams, Physics and Society, April 1988. B. Eastlund, Microwave News, May/June 1994. W. Kofinan and C. Lathuillere, Geophysical Research Letters, Vol 14, No. 11, pp 1158-1161, November 1987 (Includes French experiments at EISCAT). G. Metz and F.W. Perkins. Ionospheric Modification Theory: Past Present and Future, Radio Science, Vo1.9, No. 11, pp 885 -888, November 1974.